How would you go about dynamically adding and removing cfmapitems from a cfmap? This was a question that came in yesterday. I fired off a quick reply because the answer was so simple, but I said I’d follow up with a proper example later. I wrote up a quick example and was ready to blog when I noticed the evil, mean, nasty part of his email “removing”. Yeah…. that one word made me dig into code for an additional two hours trying to get it to work. I’m really upset now. Ok, I’m not. I freaking love solving problems. That’s why I got into coding in the first place! Anyway, let’s talk ColdFusion 9, maps, and markers. As you can probably guess by what I said above, it is pretty simple to add markers to a map. ColdFusion provides a simple API with: ColdFusion.Map.addMarker(). I began by creating a simple demo. This demo creates a map centered on St. Louis (where I was raised if people are curious). I turned off the marker since I was just using the address to center the map. Above it I’ve got a text field (with a default value to save me some typing) and a button. However, when you add the marker to the map, you don’t get access to the marker object that was added. It would perhaps be nice if ColdFusion.Map.addMarker returned the object, but as it turns out, the action itself is asynchronous. If you read from the bottom up, notice that I am not using the jQuery document.ready block anymore. Why? Because it actually runs when the document is loaded, but before the map is ready. 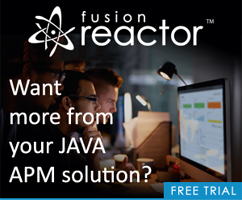 ColdFusion’s ajaxOnLoad functionality will wait for everything to be done so I’ve switched to that. Within the init I’ve added the event listener I mentioned before. Notice it simply copies the value sent to it. Finally note I added a button I can click that will test running removeOverlay. If you test this script, be sure to enter one address. It should show how you can add a marker and then remove it. First - I'd use jQuery to create a simple block of text under the map. This text would display the adress and a simple "Remove" link.